← Novel Series or Serialized Novel? “You have no friends” was the message that popped up on the first social media site I joined. That pretty much sums up my networking skills. By the time D’Vorah Lansky’s Book Marketing Challenge invitation arrived in my e-mail, I was ready to try anything, so I signed up. The past month has been a steep learning curve with new actions to take every day, so many that I am way behind and beginning to feel what Laura Laing described as “overwhelm.” I am going to take her advice to step back and focus on a couple of realistic and measurable goals. Of course, neither of my goals can be reached without making connections. I have to take action and get rid of that dreary popup: “You have no friends.” If you check back with me, I’ll be posting the action steps I’ve taken and the results of those steps on Thursday of each week. 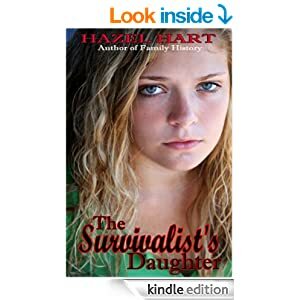 About my book: The Survivalist’s Daughter is a young adult novel about a sixteen-year-old girl who learns everything she thought she was true about her life is a lie. The novel traces how she works through her anger at the deception and loss of the only family she has ever known while learning to connect with sisters she never knew she had and searching for her half-brother who has been taken into protective custody. This entry was posted in Marketing novels and tagged Blog hop, Book Marketing Challenge, left behind parent, Parental kidnapping, school shootings, Survivalist's Daughter. Bookmark the permalink. Way to go! I’m so glad to hear you have moved forward to follow your dream as a writer–and being a teacher for so many years was a way to grow your skill set–it’s amazing how the Universe works with your intent and actions to help you achieve your dreams. Thank you for visiting. I have been at a writer’s conference all weekend, but I am ready to catch up with the hop. Thank you! I am so happy to be sharing progress with everyone. 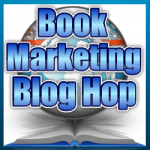 It will be exciting to see how each of us continues on our book marketing journey. I write YA too. I’m following your blog, so I will see you Thursday. I’m sure you’ll have more tidbits for me. Thanks for visiting. It’s great to meet you. I visited your blog last evening and will be back to take another look. Let me know how you are doing on your marketing journey. What a great way to get the readers attention, from the first sentence on! Hazel, I would venture to say that after the book marketing challenge, that statement can now be, “I have LOTS of friends who encourage and support me in my work.” Cheering you on! Thanks for sharing your experiences. Thank you for visiting and for all the wonderful information you provided in this year’s Book Marketing Challenge. Yes, yes and yes..connections, and a community of Book Challenge buddies who simply haven’t met before…I guess even introverts can facebook? Wishing you great success and Many new Friends. Thank you for visiting. Yes, let’s keep in touch on each others’ progress. I am excited to keep up on how we are all doing. Hello Hazel, After the BMC, I am sure you have an abundance of friends, including me. Yes, the replies have been so heartwarming. I think I made it to your site last night, but I had only a short time to hop, so I will visit again. Thanks for sharing; I am also behind and focusing on implementing that which resonates with me. Wishing you all the best in marketing your book! – hmm, it’s not letting me post unless I use my old wordpress.com acct.!! Thanks for visiting. I will be checking your blog hop post later this evening. Check back and let me know how the action steps are working for you. It is amazing how much some of us have in common. We may write different genres but some things like marketing and, dare I say it, networking. I too, am working through that struggle. My pen is mightier that my connections. Much success to you. Well I for one would love to be your friend–maybe your first South African friend? Please visit my facebook author page and if you leave a comment I will ‘like’ you in return. That sounds terrible. I like you anyway! I will leave a like on your page. Better? Shirley, You absolutely are my first South African friend. Thank you. I am still having trouble using social media, but I am going to look for you on Facebook. Hi, Hazel, I’d love to hear more about your book’s reception and to read it myself. Do you have an ebook version? From the BMC Blog Hop! If you put up your FB series or author page, I LIKED yours and would appreciate a reciprocation:https://www.facebook.com/TheSpannersSeriesbySallyEmber or a FOLLOW:http://www.sallyember.com Best to you! I’m a dope: missed the “KINDLE EDITION” at the bottom. I’ll check it out! This is an incredible post for someone just getting started in the process! You have written a book that will touch the hearts of so many people who have discovered what they thought was the truth is in fact fiction as they struggle to find their own way in a world suddenly changed. From all the beautiful comments above, you can see that we are all ready to support you and help in any way necessary…You simply have to ask. I am only a few months ahead of you, so we shall journey together. I see huge successes for those who have chosen to take this journey not as an individual but as a winning (and I mean Olympic level winning) team! Thank you so much for your kind words. So many participants from the Book Marketing Challenge have offered support that it truly does feel like we are a team supporting each other. Hello Hazel! Great to meet you here. I’m new on this journey as well. It’s great to have so many new friends along on the same ride. I only had a few FB friends myself until I joined Michael Bloom’s Fan Page Fridays – which I can get back to starting next Friday. I’ll hop over to your FB page once I’m out of this reply box. Isn’t it fun that we are all in this together and can learn from each other? See you again soon. Starting out on social media can be quite daunting! But we all start out and one day, we have many virtual ties to the planetary dance! I love social media!! Hi Hazel. Like you, the action steps piled up and I felt like my head would explode. I almost dropped out but decided to pace myself. Baby steps…..one foot forward.heheh. I hope we continue on and share our marketing journey.